Due to my education and work experience I train seniors. For my purpose I define those 65 or over as a senior. In fact at any given time in the past 12 years I have had 5 or more people over 80 on my client list. It’s a very different time of life. This period can be filled with excitement, retrospect and angst. One thing is for sure these people look at their health and fitness in a very different light than they did even 5 years before. There is true purpose behind their training. So what is different about their workouts? What is different about their attitudes, now compared to when they were younger? Can they really improve even if they have never been involved with organized workouts before? What is the best activity for maximum results? 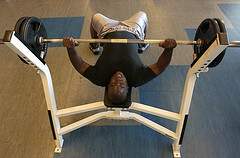 Generally workouts are different for seniors compared to those 10 and 20 years their junior. Whereas at one point a person might have been concerned about her agility and reflexes while getting around a tennis court that same person later in life is more concerned about navigating a busy day at the mall, being active with their grandchildren and at the most base level being able to perform activities of daily living. Attitudes and sense of purpose are just as directed whether the person is in their 20’s or their 70’s, 80’s and beyond. In fact I have found that the seniors I work with are more consistent than their younger counterparts and they see their purpose to be more imperative. So what if someone has lived their lives so far not exercising? Do they have a long way to catch up so they can compete in a push-up contest or start running sprints? Well not at all. In fact it turns out that the largest increment of mortality benefit is seen when comparing sedentary adults with those in the next highest physical activity level. In other words avoidance of a sedentary lifestyle by engaging in at least some daily physical activity is recommended for reducing the risk of developing chronic diseases and postponing premature mortality at any age. Endurance activities – walking, swimming, or riding a bike. Although no amount of physical activity can stop the biological aging process, there is evidence that regular exercise can minimize the physiological effects of an otherwise sedentary lifestyle and increase active life expectancy by limiting the development and progression of chronic disease and disabling conditions. 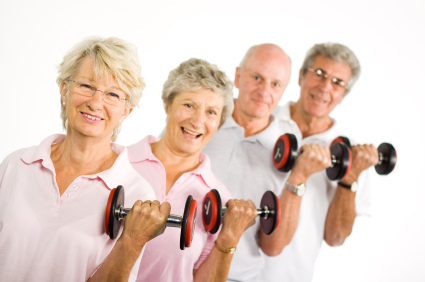 The seniors that I work with bring a very different energy to the gym compared to their younger counterparts. They are very happy to be participating in life. They’re not concerned anymore with lifting the heaviest weights or running marathons. A lot of them see their contemporaries struggling and they’re concerned with maintaining what they have. And they want to live in this part of their lives as fully as they possibly can. Not long after I moved to Phoenix and joined those who would climb the local mountains, did I find myself remarking about other “novice” hikers. You know what I mean. When you see the helicopters circling Camelback or Piestewa Peak Mountains don’t you knee jerk in thought and say to yourself, “dumb tourist” or “first time hiker” almost in disgust? Last October I was running the “Camelback Loop”. (run from one parking area to the other and then up one side of the mountain and down the other to the original spot where we began). It was a great day for me. Everything felt really good. I was on FIRE! Once on the mountain especially as I was coming down, dodging hikers, wondering why they were in my way. A stumble here and a stumble there but recovering every time. I was the King!…..Until about 10 yards from the end. I dodged around the last hiker, and my right foot caught a rock. When I pushed off of another with my left I heard my hamstring pop and I landed hard off trail. It took about 20 minutes for me to get up and limp away. Aggressive Physical Therapy for the next week allowed me to walk upright again. It would be another month before I could hike and a second month before I could run again. In the past couple of months the news has been sprinkled with athletic tragedy. Sally Meyerhoff an experienced and accomplished athlete lost her life while biking. Clint McHale lost his while rock climbing at Camelback Mountain. There are simple rules of the road to follow when biking and running on the streets. Wheels go with wheels (in other words, bikes should be riding in the same direction as cars) and runners should be running, facing traffic. Stop at traffic signs. These should be easy to follow yet we still find situations where we choose to play with the “edge” and push ourselves into danger zones. What is it in our mind set that allows us to push the edge no matter the consequence but then fault others as if we should be immune to the same scrutiny? Is it that magical line that takes us from safety to danger that is alluring? Is it in the name of that higher level of competition that we play with this? I’m certainly not sure of the answers. But I am very aware of the fact that it could be me or any one of us that could be getting a free helicopter ride off the mountain. I have often been heard to say during training sessions “you have to train so that you can train another day”. I certainly do not want to hear your name in the news tomorrow. And I have no intent in you hearing mine. Please be careful. Enjoy this environment that we live and play in. And respect it as well. Just like everyone else I’m in a time crunch to get my workouts in. In the last year I have gone from circuit training to splitting up my body parts into separate days. Well as you can imagine even for someone who lives in a gym this can be time consuming. But since I try to be more of a listener in order to be a learner, I have been taught that in a pinch I really only need to do two body parts per week for my upper body. Chest and back. When working on my chest I am also indirectly using my tricep muscles. When working on my back I am also using my biceps. There are many weeks that go by that I only have time to do these groups and for sure my arms have not suffered. This is how it works. The function of your tricep muscles is to extend your elbow. So every time I complete a pressing movement I am also contracting my triceps. Since the function of your bicep is to bend your elbow, every time you do a rowing motion you are also using your biceps. So how about you? If you are doing resistance training how do you fit it into your schedule? Do you circuit, or like me do you hit different muscle groups? What is your efficiency level like in the gym? Are you a gabber or do you zone every distraction out, get your work done and then out the door so you can enjoy the rest of your life? Nearly 27 million Americans are affected by arthritis. So what is arthritis and where does exercise come into the picture? When the cartilage, which is the cushion at the ends of your bones breaks down. It causes the bones to rub up against each other. This can cause stiffness, pain and loss of movement in the joint. This is known as osteoarthritis. Although arthritis is seen as something that happens in the normal course of aging, there are ways to manage this disease. One way this is done, yes you guessed it, is through exercise. Physical activity keeps joints flexible and maintains or improves muscle strength. That information was directed towards the knee. But the same can be said for your ankles, hips, shoulders and elbows. If you keep the muscles that support your joints strong then they can support these joints while they are going through their range of motion. So what about you? 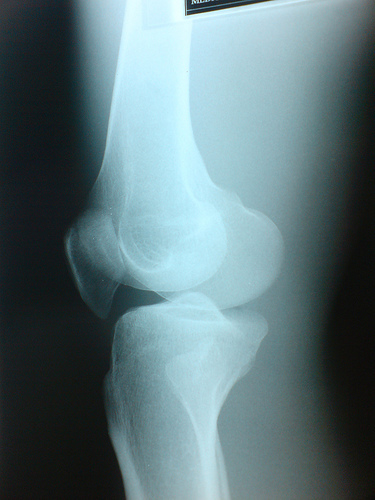 Has arthritis showed up in one or more of your joints? How has it affected your daily life? For me I can feel it in my hands, so I do exercises that help me with my grip. If you want ideas as far as what exercises will help with certain joints please feel free to ask me here or email me. Do Women Bulk Up When They Train With Weights? One of the most common statements I hear from women who have not done resistance training before is, “And I don’t want to bulk up”. It is a myth that women will naturally attain the bodies that female bodybuilders flaunt simply by doing resistance training. The benefits of weight training for women go on and on, from battling osteoporosis to an increased metabolism. So instead of embracing strength training some women will either stay out of the weight room altogether or use weights that are too light and then not get any results at all. Both men and women have to implement certain things in their lifestyle such as nutrition, supplementation and a very specific type of weight training in order to put on the muscle that you see bodybuilders wearing. Yes, there are those that have the genetic makeup to build muscle quicker than others. And for those that do then they must adapt a training regime that includes low weights and higher repetition. So girls, unless you really do want to “bulk up” then you won’t. People who are new to working out often ask why they can’t exercise the same muscles everyday. In brief this is what I tell them. Blood pours into the area that has just been exercised, tissues are being mended and your muscle is being repaired. But this time even tougher and stronger. True muscle growth happens during this period of recovery. The process can take up to 24 – 36 hours immediately after you stop exercising. If you are going to train the same body part two days in a row you are not giving the muscle its chance to repair and then truly change. You won’t be giving your muscle a chance to come out of fatigue. Now keep in mind I never said that you shouldn’t exercise everyday. I’m just pointing out why you want to work on different aspects of your fitness each day.